I'm excited that it's almost summer! It's getting warmer and the school year is almost over. 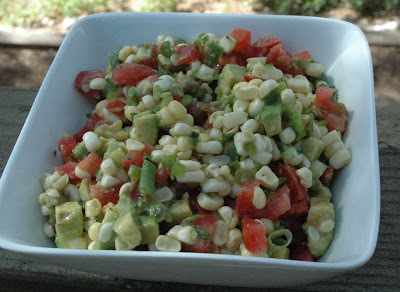 I made some grilled corn guacamole and grilled marinated 7up chicken last weekend. And my hubby grilled some steaks and potatoes for Mother's Day dinner yesterday. So yummy! I love to use this teriyaki marinade. I can't wait to grill more and have more fresh fruits and veggies. Speaking of fruits...my little baby guy had his first bit of real food yesterday. He was eying my pancakes that we were eating for dinner, so I put a bit of banana in his Munchkin fresh food holder and he loved it! I can't belive that he's old enough to eat food already. Slow down little buddy! My inlaws are coming to visit this week and we had more family visit last week. I love it when people come visit us! All right, better get planning...it's menu time.